Chicago-based New World Design has proposed a shining art installation along the Chicago River to address the contentious Trump Tower sign. 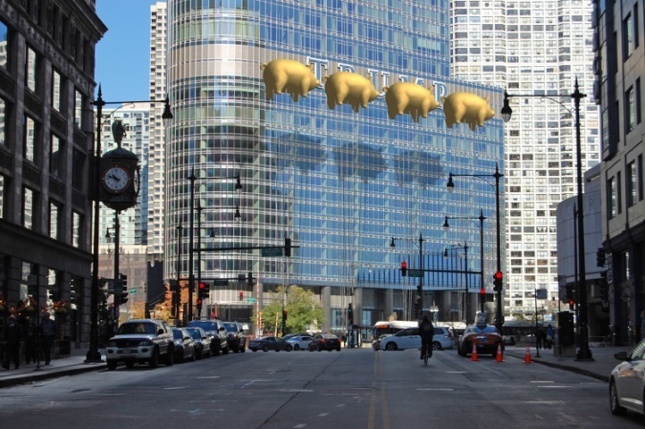 The speculative proposal is comprised of four floating golden pigs positioned to block the view of the 20-foot-tall Trump name on the building’s south facade. 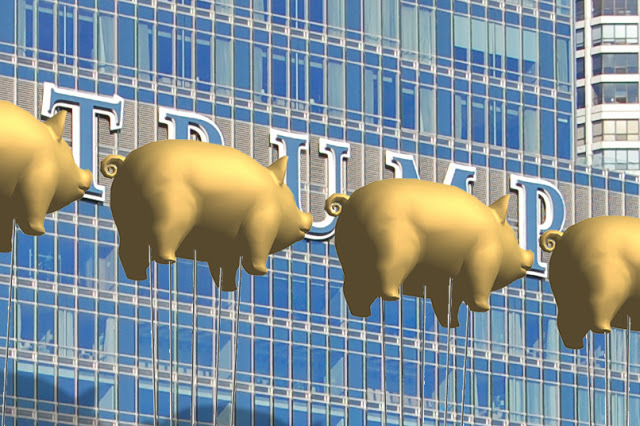 The choice of golden pigs is symbolic on many levels. 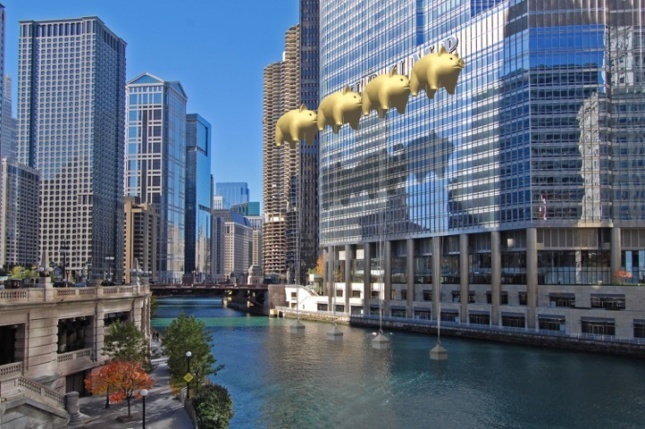 A direct reference to the cover of Pink Floyd’s Animals album cover, New World Design said their proposal will “encourage folly viewers to listen and make their own interpretations.” The gold color is a reference to Trump’s frequent use of gold in his branding and interior design. Directed eastward, towards Washington D.C., there is one pig for each year Trump will be in office. New World Design is located just a few blocks away from the Trump tower and the continued protests at the building’s base. The latest of which happened Thursday as protesters waited for Trump to arrive at the tower on his post-election tour. He did not show up. The street in front of the tower, Wabash Avenue, carries the honorary name Trump Plaza. The Chicago City Council recently voted to remove the honorary signage in response to Trump comparing Chicago to a “war-torn country” in the first presidential debate.